Topsoil | B.R. Kreider and Son, Inc.
Take Out The Guess Work on Your Next Project with our PH Tested & Monitored Topsoil! Call the Dirt Experts for all of your Topsoil Needs! 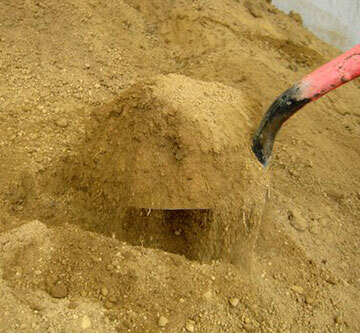 Whether your business is excavating, landscaping, tree farms, pool installation or retail sales, B.R. Kreider is the premier source for topsoil in Central Pennsylvania. At B.R. 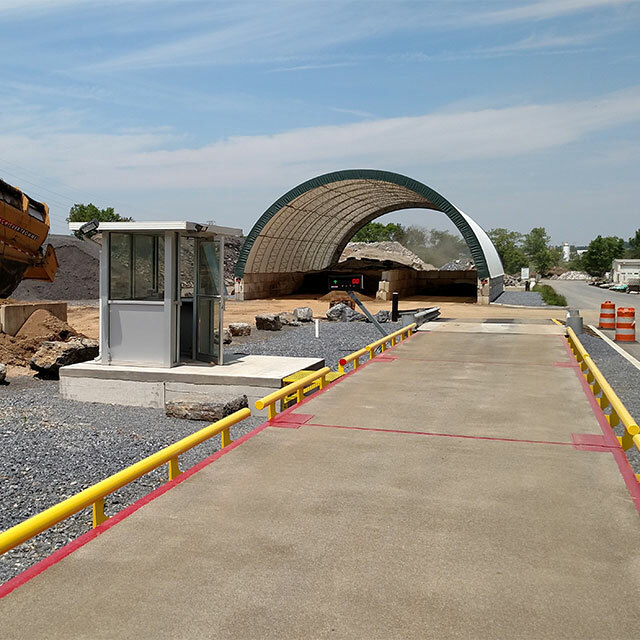 Kreider our screened topsoil meets PennDOT's Pub 408 Sec 802.2 specification for topsoil*, and our topsoil is sold by tonnage, so you know exactly what you are getting. There is never any guessing when you buy your topsoil from us! If you are a homeowner looking for topsoil, we gladly accept orders over 4 cubic yards. We have determined that it is more cost effective for the homeowner to buy their topsoil at a local landscaper for orders under 4 cubic yards. So while we would appreciate your business we suggest for you to buy smaller quantities from a local retailer. 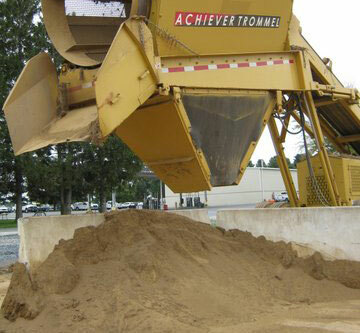 **For pick-up a 650 size dump truck or trailer rated for 4 tons(8,000 lbs) or more is needed. Regular topsoil is the perfect solution for larger areas, like growing grass where there is no topsoil in place. If there is no topsoil you should plan on installing it at approximately 6"-8" thick. This is the correct thickness for growing grass and use in flower beds and gardens. Regular, or unscreened, topsoil can have some smaller stones and more clumps than screened topsoil and may not rake out as easily if it's high in moisture. The good news is this will not hinder plant growth. 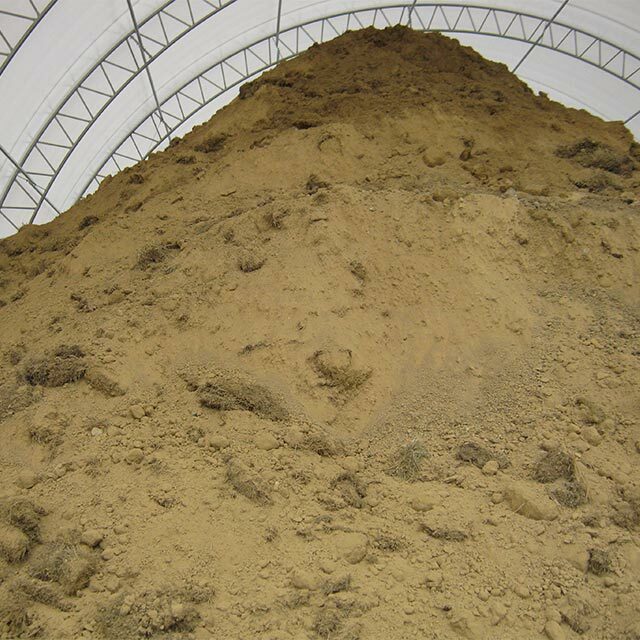 Screened topsoil provides finer topsoil consistency. Screened topsoil is typically used for topdressing a yard for reseeding or for use in smaller areas where there is already topsoil in place. Easy to work with and much finer than regular topsoil, screened topsoil rakes easily for seeding and the consistent particle size allows nutrients and water to flow naturally through the soil. 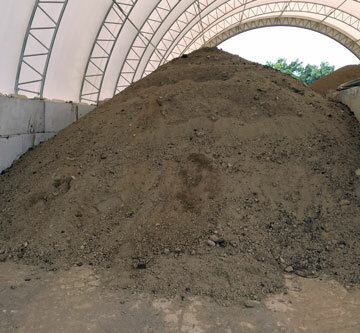 Our Topsoil Mix is composed of 90% screened topsoil and 10% mushroom mix. Mushroom mix, also known as the soil conditioner, will help soften the clay that is located in your topsoil and improve the water drainage. The mix is filled with an abundance of nutrients and minerals that are suitable for plant growth. Call dispatch at B.R. Kreider & Son and place your order a few days prior to needing topsoil.